A pre-release tasting of six 2014 Chardonnays from CheckMate Artisanal Winery suggests to me that a 100-point Okanagan Chardonnay is imminent from this winery. As I consider my notes, I am not sure what is holding me back with my two top scoring wines. Perhaps it is just a reluctance to score so aggressively on wines from just the second vintage from CheckMate. CheckMate, a winery in Anthony von Mandl’s stable, released its first Chardonnays – from the 2013 vintage – at an exclusive luncheon in New York late in 2015. The release was clearly designed to position these wines as the equal to top white Burgundies. The critics reviewing the wines were virtually unanimous, with scores ranging between 90 and 95. 2013 was a good Okanagan vintage – but 2014 was even better. As well, Phil McGahan, CheckMate’s winemaker and general manager, had a better grasp on his vineyard sources and has refined winemaking practices. The bottom line: the 2014 Chardonnays surpass the 2013s. The CheckMate winery is midway between Oliver and Osoyoos, in the location of the former Antelope Ridge Winery. Von Mandl purchased the winery and a portion of its vineyard in 2012. More crucially, he also purchased a neighbouring vineyard. Here, the mature vines included the Dekleva clone from which Mission Hill in 1992 made the legendary award-winning Chardonnay that put the winery on the map. Control of these vineyards with their 40-year-plus vines triggered the launch of CheckMate and the making of wines that eclipse anything made here before. The Antelope Ridge winery was refreshed with state-of-the-art equipment. Phil McGahan, a soft-spoken Australian and a former lawyer, was recruited to make the wines. During that time, he worked the 2005 harvest at the prestigious Williams Selyem Winery in Sonoma. “Once I graduated, I came back [to California] as an assistant winemaker,” Phil says. He was soon promoted, become one of the winery’s three winemakers. Because he was the junior of the three, his career path was limited. At CheckMate, he makes just two varietals: Chardonnay and Merlot. The grapes are selected from several South Okanagan vineyards that also produce flagship wines (such as Oculus) for Mission Hill. Phil has direct input in the viticulture of the blocks he selects for CheckMate. Four of the Chardonnays are single vineyard wines. One is a co-fermented blend from two vineyards and one is a five-vineyard blend. The grapes all are hand-picked at night, arriving cool to the press at the winery, a technique to preserve maximum flavour and aromas. All the wines are fermented in oak, with the exception of two 600-litre lots that were fermented in concrete eggs. These lots, which also get some time in oak, are in the five-vineyard blend, called Knight’s Challenge, a new addition to the CheckMate portfolio in 2014. “They are all pretty much 16 months in barrel,” Phil says of the wines. “I took them out of barrel in early February, 2016, and bottled them in March. I gave them a month in tank to come together before bottling. That was the change from the year before. In that year, I took them out of barrel a week or so before bottling.” The oak is very well integrated, never hiding the fruit. The objective with all of his techniques is to build wines of exceptional complexity. These are certainly capable of aging gracefully in a good cellar, delivering a quality to justify the prices. These are the most expensive Chardonnays from the Okanagan and arguably among the very best. Capture 2014 ($80 for 150 cases). The fruit is clone 76 Chardonnay from the Border Vista Vineyard on the Osoyoos East Bench, snug against the U.S. border. The wine, fermented entirely with wild yeast, begins with floral and citrus aromas. It is quite expressive on the palate, with apple and citrus flavours mingled subtly with oak. It lingers elegantly on the palate. 94. Queen Taken 2014 ($125 for 175 cases). The fruit is from the Dekleva Vineyard on the Golden Mile. The 40-plus-year-old vines are just called the Dekleva Clone, after a former owner, because no records remain of the actual clone that was planted. The ferment is 88% wild yeast. Aromas of orange peel and white peach mingle with tropical fruit notes, leading to stone fruit flavours. The fleshy texture gives the wine weight and a long finish. 95. Knight’s Challenge 2014 ($85 for 200 cases). The grapes – clones 76 and 95 – are from the Sunset Vineyard on the Black Sage Bench, which was planted about 1995. The wine is fermented with wild yeast. It begins with aromas of citrus and peach, leading to flavours of spice and fruit mingled with oak. The minerals on the spine give the wine a little grip. 93. Little Pawn 2014 ($110 for 475 cases). The fruit is from the Barn Vineyard which is a neighbour of the Sunset Vineyard. Here, the winery has clone 76 along with Dekleva Clone, which was propagated from original planting on the Golden Mile. Half the wine was fermented with wild yeast, half with cultured yeast. The wine is bold and rich, both in aroma and on the palate. The floral and citrus aromas lead to intense flavours that are buttery, with hints of citrus and vanilla. The finish of this satisfying wine persists. 96. Fool’s Mate 2014 ($80 for 925 cases). Four clones of Chardonnay from five different vineyards went into this wine. It was fermented with 67% wild yeast, 33% cultured yeast; with 85% fermented in French oak barrels and the rest is two 600-litre concrete eggs. The result is a complex wine with aromas of stone fruit, and melon leading to flavours of citrus, peach and brioche. 93. Attack 2014 ($115 for 325 cases). Grapes for this wine – clone 76 and Dekleva – were sourced from Barn Vineyard (57%) and Border Vista Vineyard. The wine was fermented with cultured yeast in two 1,600-litre oak foudre; one was new, one was a year old. The wine is both elegant and seductive, with notes of lychee on the nose and palate. The oak imparts a suggestion of spice that supports bright and lively fruity flavours. 96. When the new Phantom Creek Estates winery opens in 2018, both its premium red wines and the architecturally-stunning winery will cause a sensation in the Okanagan. The winery is rising from the former Sundial Vineyard and the nearby Phantom Creek Vineyard, both purchased earlier this year by China-born Richmond businessman Richter Bai (Mr. Bai to his winery colleagues). “My goal is to produce outstanding wine in Canada,” Bai told me through a translator. In its first vintage in 2016, Phantom Creek crushed 100 tons of Bordeaux red varietals. He is not another investor parking money in British Columbia real estate. When I visited the winery during crush last October, I noticed that he was pitching in with various winery chores, very much the hands-on owner. Bai has assembled a strong team to run the winery. That includes Phantom Creek’s recently appointed president, Ingo Grady, a 35-year wine industry veteran who has been director of wine education for 17 years at Mission Hill Family Estates. Before that, he ran his own wine import agency for 10 years. Bai once owned an iron mine in China’s Shanxi Province and now operates a flaxseed processing firm in China, managed by his son, Brandon, 30. He immigrated to Canada when his children decided to study at Canadian universities. A business plan came together in July, 2015, with Napa Valley winemaking consultants Anne and Cameron Vawter joining the Phantom Creek team. In April, 2016, Bai purchased the 60-acre Sundial Vineyard, a prime site for Bordeaux varietals that had been planted in 1992 by Harry McWatters. Bai plans to refresh the vineyard with plantings of newer clones. Organic practices are being adopted gradually. Bai also bought the nearby Phantom Creek Vineyard, a seven property where veteran vineyardist Richard Cleave grew Bordeaux reds for some of the best wines made by Sandhill Vineyards. Bai also tried to buy the nearby Saddle Ridge Vineyard, a 47-acre Black Sage Road vineyard, only to be thwarted by Mission Hill Family Estates, which exercised its right of first refusal. Subsequently, he bought 20 acres, also for reds, nearby on the Black Sage Bench. The Vawters were already familiar with these vineyards. In the vintages of 2012, 2013 and 2014, Anne sourced Black Sage Bench grapes to make ultra-premium Bordeaux blends for One Faith Vineyards. The One Faith wines, currently priced at more than $165 a bottle, are the most expensive in the Okanagan. The Vawters ended their consulting to One Faith when they joined the Phantom Creek project in 2015. Anne (right) grew up in Washington State wine country. After considering a career in dentistry, she got a degree in viticulture and enology at the University of California, quickly emerging an important consultant winemaker. Most of her clients (such as Ziata Wines, Oakville Ranch Vineyards and Teaderman Vineyards) are in Napa. Her husband, Cameron, is the winemaker at Dana Estates at Rutherford. Anne has her own label, Red Mare Wines, a name inspired by her equestrian interests. She manages Blossom Creek Ranch, a horse farm in Calistoga. “My interest in wine came through my uncle who ran a beer and wine distributorship in the Seattle Tacoma area,” Anne says. “He introduced my father to good wines. We lived in Walla Walla. My father would find wines and go on wine lists. I was one of his children that enjoyed tasting the wines with him, even when I was little.” She acted on his suggestion that she go to the University of California to study winemaking. To crush the 2016 vintage, the Bai group built a temporary winery last summer in the vineyard (taking out some Cabernet Franc). A large metal-clad building, it likely will serve future storage needs. Currently, it houses five new oak fermenters, along with stainless steel tanks, numerous barrels and leading edge winery equipment including an optical sorting table. Phantom Creek is producing a “flagship” Bordeaux blend, some ultra-premium small lot reds and a range of varietals that Anne says will be “entry level but not cheap.” She has 52 separate lots of red wine in the cellar, giving her excellent options for blends. A 2005 enology graduate of Australia’s Charles Sturt University, Ross came to Canada in 2006, working as a harvest intern at Flat Rock Cellars in Ontario. He stayed on, ultimately becoming the winemaker in 2010. In 2012, he launched his own consulting firm, making wines with several Ontario wineries, most recently Keint-he Winery and Vineyards, a self-described Burgundian winery in Prince Edward County. Ross is also studying to become a Master of Wine. Before selling the vineyard in 2016, McWatters had already built the ground floor (barrel cellars and processing space) for a 35,000-case winery at the top of the Sundial Vineyard. It was to be called Time Winery and is now being recreated in a former theatre in downtown Penticton. The Bai group has retained that ground floor, but is extending it to build a 50,000-case winery. Backen, Gillam and Kroeger, a San Francisco and Napa firm of architects with a portfolio that includes 40 wineries, has designed Phantom Creek. The winery’s underground cellars are designed both for handling wines by gravity and for allowing customers to tour the entire facility. Taft’s model includes a cellar for large oak vats and another of Alsace-style oak foudres for future white wines. No whites were made in 2016 at Phantom Creek, aside from Riesling Icewine. The Chardonnay grapes at Sundial were sold last fall. The block may be replanted with red varietals in a gradual renewal of the vineyard planned to begin in two years. However, Phantom Creek is looking elsewhere in the Okanagan for Riesling and Pinot Gris for table wines. The winery is considering making those wines in a joint venture with a major Alsace producer, whose name has not yet been disclosed. Bruce Ewert and Bruce Nicholson, former leading Okanagan winemakers who moved away, returned last week to the Vancouver International Wine Festival to show off the wines they now make in Nova Scotia. Ewert now operates L’Acadie Vineyards with his wife, Pauline Scott. They established the vineyard in the Gaspereau Valley in 2004. The winery opened in 2008, releasing the first traditionally-produced sparkling wine in Nova Scotia. L’Acadie now produces 2,000 cases a year, with a target of 5,000 cases. At the festival, Ewert poured three of his sparkling wines. All of them were premium quality. Nicholson is the chief winemaker at Inniskillin Wines in Niagara, the winery that established Canada’s international reputation with its Icewines. Two of these were on display at the festival, along with three table wines, a Pinot Noir, a Chardonnay and a Riesling. Excellent Riesling wines are made in Ontario and this is one of the best. In recent years, the Okanagan’s rising reputation as a wine region has attracted numerous winemakers from elsewhere in Canada – winemakers who usually stay. Nicholson and Ewert left for family reasons, not for lack of opportunity to make great wines here. In fact, when Nicholson was chief winemaker at Jackson-Triggs Okanagan, the winery won many awards internationally. Ewert was born in 1963 in Prince George, the son of a pipeline technical executive. He grew up in California and Vancouver where he took an engineering degree with a food technology bent at the University of British Columbia. Soon after he graduated in 1986, he joined Andrés Wines as a quality control supervisor at the Port Moody winery (which closed in 2005). In 1988, he was transferred to Andrés' Winona winery in Ontario as an assistant winemaker. Within eighteen months Ewert had become the winemaker at the company's Truro winery in Nova Scotia. After two years there, he moved back to Port Moody. This trip around Andrés gave him experience with large vintages -- the Winona plant was processing 5,000 tonnes of grapes a year -- and with making wine in Truro with raw materials mostly from California, Spain and Argentina. He left Andrés in 1994 for a winemaking sabbatical to Australia, returning to British Columbia in mid-1995. He became a consulting winemaker for sister wineries Sumac Ridge and Hawthorne Mountain Vineyards (now See Ya Later Ranch). In 2002, he moved to Summerhill Pyramid Winery where he got to hone his skills with sparking wine. In 2004, he returned to Nova Scotia – his wife is from Nova Scotia – to launch L’Acadie Vineyards. He has also consulted with several other Nova Scotia wineries, helping them produce traditional method sparkling wine. “I don’t want Nova Scotia to be known for carbonated wine,” he says. His portfolio leads off with Prestige Brut Estate 2010 ($51.99). This is made a grape called L’Acadie, a white developed on Ontario that grows well in Nova Scotia. This wine has bready aromas from its time on the lees, with citrus notes on the palate and with a crisp finish. The vineyard is within sight of the Bay of Fundy and the ocean seems to have lent a slightly salty note to the finish. 92. Vintage Cuvée 2014 ($34.99) is a sparkling wine made with L’Acadie and Chardonnay. The wine spent two years on the lees. The fine bubbles give it a creamy texture; there is a flavour of green apple on the crisp and fresh palate. 91. Vintage Cuvée Rosé 2013 ($34.99) is a salmon pink sparkling wine made with L’Acadie, Chardonnay and Maréchal Foch (the variety that gives the wine its colour). There are flavours of apple and cranberry on the palate and the finish is dry. “We make it the way I would like sparkling wine,” Ewert says. Bruce Nicholson, who was born in 1958 in Niagara Falls, is chemical engineer who began making wine at home. He was so attracted to winemaking that he offered to work without salary at Inniskillin just to get his foot in the door of a winery. There were not many jobs in Canadian winemaking in the mid-1980s. Before Inniskillin replied, Nicholson was hired in 1986 for the laboratory of the Chateau-Gai winery in Niagara Falls. The next year he was transferred to Casabello, Chateau-Gai's sister winery in Penticton, BC, as an assistant to winemaker Tom Seaver. Nicholson succeeded him when Seaver was transferred to Ontario in 1989. Casabello had opened in 1966 and for many years was a fixture on Penticton’s Main Street. It closed in 1994 and was dismantled, with the tanks and other equipment moved to what was then the Brights winery near Oliver. It was part of the consolidation that led to the establishment of Jackson-Triggs Vintners. Nicholson also moved to the Oliver winery and became the senior winemaker there in 1996. It was a great opportunity to a young winemaker. Jackson-Triggs was the cornerstone to Vincor which became Canada’s largest wine group before it was taken over in 2006 by Constellation Brands. With strong financial backing, Vincor developed about 800 acres of vineyard in the south Okanagan and added modern equipment to a dramatically expanded winery. Because of the new vineyards, Nicholson had more grape varieties to work with than most winemakers get to see. He made the Okanagan’s first Viognier. In 2013, as if closing the loop, he made Canada’s first botrytis-affected Viognier at Inniskillin in Ontario. This exceedingly rare dessert wine won a Lieutenant Governor’s Award of Excellence in Ontario. He won numerous awards at Jackson-Triggs, including at least one Lieutenant-Governor’s Award in BC. He had a sure hand with Icewine, taking top awards both in Canada and at international events in London and in Bordeaux. “More [awards] have come out of this building than anywhere else in Canada,” Nicholson once told me. He left the Okanagan in 2006 when the top winemaking job opened up at Inniskillin. It was a great opportunity in highly regarded winery making 200,000 cases a year, including Icewine. The other attraction: it allowed him to move back to the Niagara Peninsula to be near his parents and siblings. His mother, who died two years ago, had frequently expressed a desire to see him return to Ontario. At the wine festival, Nicholson was pouring two Icewines, a Vidal and a Riesling, neither of which I tasted in the crush of available wines. He started me on an Inniskillin Riesling Reserve 2014 ($N/A). The wine has intense aromas and flavours of lemon and lime with good weight on the palate and a spine of minerality. It finish dry. It is a good example of Ontario Riesling at its best. 92. Next came Inniskillin Niagara Montague Vineyard Chardonnay 2014 ($24.99). The wine has herbal notes and flavours, with flavours of ripe apple and citrus. There is good weight on the palate. 90. The partner in the portfolio is Inniskillin Niagara Montague Vineyard Pinot Noir 2014 ($29.99). This is a robust wine earthy cherry flavours wrapped around a spine of minerality. 88. Those who live in Ontario should keep an eye on coming releases from Inniskillin. Nicholson is particularly excited about a blend of Merlot and Petit Verdot that is stil in barrel at Inniskillin. Ann Sperling surely is the pride of Kelowna’s wine community: a hometown vintner with an international reputation. Since 2008, she has applied her extensive experience as the winemaker and one of the proprietors of Sterling Vineyards. Last month, she invited me to a tasting of her current range, mostly wines just being released, or soon to be released. The range is astounding: everything from a Champagne look-alike to Icewine. All the wines are made with fruit for the historic estate vineyard, known to the Sperling family as Pioneer Ranch. The pioneering began with Ann’s ancestor, Giovanni Casorso, who came from Italy in 1883 to work with Father Charles Pandossy, the pioneering missionary in the Okanagan. The next generation of the Casorso family began planting grapes in 1929. The property was taken over in 1960 by Bert Sperling, Ann’s father, who had married Velma Casorso. Ann, who was born in 1962, grew up in that vineyard. She began her winemaking career at Andrés Wines in Port Moody in 1984, armed with a food sciences degree from the University of British Columbia. She moved to CedarCreek where she was the winemaker from 1991 to 1995. Her achievements at CedarCreek included the 1992 Merlot Reserve, so impressive that the judges at the 1993 Okanagan Wine Festival created a platinum medal for it. She moved to Ontario in 1995, carving out a distinguished career (with husband Peter Gamble) as a consulting winemaker. Some of the best Ontario wineries have been her clients, including Southbrook Vineyards, her major Niagara client today. In 2008 she partnered with her sister, Jill, their spouses and other members of the family to launch Sperling Vineyards. “It was always in the back of my mind that I wanted to make wine here, because I am so familiar with every foot and every slope and every grape on the property,” Ann said. The debut vintages were made at a nearby winery in East Kelowna, where Ann also was consulting winemaker for several years. In 2013, a production facility with a 10,000-case capacity was completed in the middle of the Pioneer Ranch. Because that vineyard lacks public access, the Sperlings planted enough grapes next to family-owned Pioneer Country Market to support a license for Sterling Vineyards. The market is on Benvoulin Road, a major Kelowna thoroughfare. If magpies were wine drinkers, they would not have much to complain about. Here are notes on the wines. Vision Label is a reserve designation. Sperling Sparkling Brut 2010 ($40). This is made with Pinot Blanc from a vineyard block planted in the 1980's. The block produces fruit with the ideal acidity for sparkling wine. The inspiration for this wine was a grower Champagne made from Pinot Blanc and selling for $250 a bottle. The Sperling Brut was disgorged after about 42 months on the lees. As a result, there is a fine biscuity note both on the nose and mingled with the lively green apple flavours. 92. Sperling Brut Rosé 2013 ($42). This wine is made with Pinot Noir clone 828 and presents with a lovely pink hue from skin contact. The bubbles give the wine a creamy texture. There are aromas and mouth-filling flavours of raspberry and strawberry. 91. Sperling Brut Reserve 2011 ($50). This sparkling wine is 80% Pinot Noir and 20% Chardonnay from vines planted in 2008. Ann’s model is Grande Marques Champagne and she adheres to the winemaking protocols of those wines (moderate alcohol, bright acidity, long lees contact in bottle). This wine has bready aromas from the lees contact. There is also a touch of biscuit mingled with the citrus and green apple flavours. The finish is crisp and dry. Tasted blind, you would take this for classic Champagne. 92. Sperling Vision Label Chardonnay 2015 ($30). This barrel-fermented wine is made with clone 528 Chardonnay from a high-altitude block in the Sperling vineyard. “I wanted to retain acidity, so we harvested it somewhere around 21 Brix, maybe 21 ½,” Ann explains. “At that point, there still is eight or nine grams of acid. And I am working in 500 litre puncheons.” Think of Chablis with this wine. The oak is subtle on the nose and palate. The citrus and apple flavours are kept bright by the acidity. The finish lingers. 91. Sperling Vision Label Vin Gris ($30). This is 100% barrel-fermented Pinot Noir but treated much like the Chardonnay, with the retention of good acidity. The wine, which presents with a bronze hue, has aromas and flavours of strawberry and apple. There is a fine backbone of minerality. 90. Sperling Pinot Noir Rosé ($19). The wine is made with clones 828 and 777. The grapes get overnight skin contact before being pressed, just enough for a moderately pink hue. The wine has aromas and flavours of cherries and strawberries. It is filled out on the palate with good texture to lift the fruit flavours while finishing dry. 91. Sperling The Market White 2015 ($17). This is a light and refreshing white, with just 11% alcohol. It is a blend of Pinot Blanc, Bacchus and Riesling. The Bacchus contributes herbal and spice notes. Ann limits Bacchus to a maximum of 40% of the blend; more than that, and Bacchus takes over. This wine begins with herbal aromas and subtle notes of lime and grapefruit on the palate. A touch of residual sugar adds to the easy-going style. 90. Sperling Amber Pinot Gris 2015 ($30). This is Ann’s “natural” wine. The grapes went into the fermenters with 40% whole clusters. The wine was fermented on the skins with no additions of any kind, not even yeast or sulphur. The wine was fermented to total dryness and, after moderate settling, was bottled in April, 2016. Some lees remain in this unfiltered wine by design, to guard against oxidation. The name of the wine describes the colour which was extracted from the Pinot Gris skins. The texture is rich. The wine is complex, with spice, herbs and orange zest on the palate. Natural wines like this are popular with sommeliers because of the ability of the wines to pair with a wide range of foods. 91. Sperling Pinot Noir 2015 ($26). Made with clones 114 and 777, this is a bold Pinot Noir, with aromas and flavours of spicy black cherries. The texture is silky. “Pinot Noir should be persistent,” Ann says. “Its power is in its ability to hold your attention.” This one does. 92. Sperling Vision Label Pinot Noir 2014 ($35). This is a single barrel selection. The wine plays the usual Pinot Noir trick: the colour a bit light but the texture is full and satisfying and the flavours explode with notes of cherry, strawberry and spice. 92. Sperling The Market Red 2015 ($18 for 500 cases). This is a new wine in the Sperling portfolio to partner with The Market White. The wine is 90% Maréchal Foch, with 40% whole clusters in the ferment, adding structure to the wine. The other 10% is Pinot Noir. The wine is a juicy, Beaujolais-style quaffer, with flavours of blackberry and cherry. 88. Sperling Old Vines Foch 2015 ($32). Sperling Vineyards has one of the oldest blocks of Maréchal Foch in the Okanagan. Ann, who now uses about 30% whole clusters in the ferment, has mastered this venerable, and sometimes derided, French hybrid. This wine begins with intense aromas of black cherry and chocolate. Those are echoed on the meaty, earthy and full-bodied palate. The texture, however, is almost silky. 91. Sperling Late Harvest Riesling 2015 ($30 for 375 ml bottle). Grapes for this wine were harvested from the vineyard’s old vines block at -6◦C, not far above the legal threshold for Icewine. The object was to concentrate the aromas and flavours. This dessert wine begins with aromas of lemon and lime. It delivers a mouthful of tropical fruit flavours and, with bright acidity, has a clean and refreshing finish. 95. Sperling Vidal Icewine 2015 ($55 for 375 ml). To qualify for a tasting room license, Sperling Vineyards planted a two-acre block of Vidal in the form of a labyrinth next to the wine shop. For Icewine, the grapes were picked at -10◦C. The wine is a textbook Vidal Icewine – plump, with aromas and flavours of mango, guava and peach. Bright acidity gives this sweet wine a clean palate, encouraging one to drink a second glass. 90. Recently, the Kelowna Chamber of Commerce asked me to moderate a panel on women involved in our wine industry. The speakers were Elaine Triggs of Culmina Winery, Sandra Oldfield of Tinhorn Creek Vineyards and Ann Sperling of Sperling Vineyards. They were chosen from a surprising long list of women who make the wheels go round at many British Columbia wineries. The sold-out lunch (followed by a wine tasting) was such a success that the chamber is considering hosting a second one next year. Another name to throw in the mix is Bench 1775 Winery. If you check this Naramata Road winery’s website, you will discover that no fewer than eight awesomely-qualified women calling the shots. The only other Okanagan winery run exclusively by women (to the best of my knowledge) is Cana Vines Winery, operated by Mindy Elgert and her daughter Lisa. The team at Bench 1775 is headed by Valeria Tait. She wears three hats: viticulturist, winemaker and general manager. She is an industry veteran. Born in 1964, she has an undergraduate degree in biochemistry and a master’s in integrated pest management. She started working at the Summerland research station on plant viruses and then developed her independent consulting business with grape growers in the early 1990s as new vineyards were being planted. “I was lucky to get in on the industry when it was starting to grow,” Val told me a few years ago. She became a partner at Bench 1775 in 2013 and, after the winery ownership changed the following year, she was given her currant portfolio of responsibilities. · Sonja Lloyd in charge of quality control. She has a doctorate in microbiology from Washington State University. · Julia Cannings is the tasting room manager. She is a teacher with a bachelor’s degree in English and French literature. · Andrea Duckett is the manager of the Bench 1175 wine club. · Tina Ma is the internati0nal sales manager. Born in China, she has a master of business administration from New York State University. · Simone Ardiel is the lead cellar hand. She is a graduate of the winery and viticultural program at Niagara College. · Pamela Moodie is the accounting manager. She has a degree in urban planning and is a certified general accountant. · Leanna Liu is the marketing and social media manager. Born in Beijing, she has a bachelor’s degree in screen writing from the Communications University in China and master’s degree in digital media management from Northwestern University in the U.S.
All I can say is wow! The coffee breaks at Bench 1775 must be more like college seminars. One thing for certain: these eight are making excellent wines. Here are notes on recently released wines. Bench 1775 Pinot Noir 2014 ($24.90.) This silky, yet muscular, wine has aromas and flavours of black cherry, plum and strawberry with hint of mocha. 90. Bench 1775 Groove 2014 ($19.90). Here is a soft juicy red made for easy drinking. Made with Merlot, Malbec and Cabernet Franc, it is a bowl full of cherries with vanilla on the finish. 88. Bench 1775 Cabernet Franc clone 214 2013. ($27.90). Only the Bench 1775 wine club can buy this superb red. 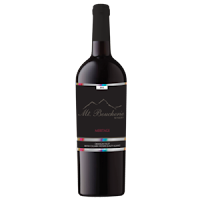 It is an elegant wine with layers of blackberry, black currant, black cherry and mulberry. 92. Bench 1775 Malbec 2014 ($25.90). 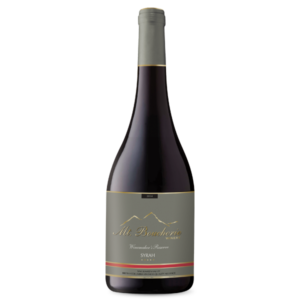 A wine club only release, this complex red combines fruit from the Similkameen Valley with fruit from the Okanagan. In her notes on the wine, Val says that the Similkameen portion results in a more intense wine because the soils in that valley are “much bonier and drier” that those of the Okanagan. This dark wine begins with aromas of plum and mulberry, going onto to a robust palate with flavours of black cherry, plum and fig. On the finish, there are hints of cola and dark chocolate. 92. The clubs were non-existent a decade ago. Today in British Columbia, it is a rare winery that does not have one. For the consumer, they also are a benign tyranny. They put you at the front of the line for the most desirable wines. But winery followers often get locked into wines by the case even if that quantity is more than one might buy at any one time. But if you do not join the club, chances are that you will not get a sniff at some of a producer’s better wines. Those are often allocated largely, if not entirely, to the wine club. I am not being critical of wine clubs for the sake of being grouchy. I just want to suggest consumers can learn to live with them by creative buying. A certain Okanagan wine that I collect every year is now limited to wine club members; and I am not a member. But a friend of mine is. He orders a case every year. He keeps four bottles for himself while another of his friends and I each get another four bottles. Perhaps the winery would discourage that practice if they knew. Too bad … there is only so much room in most wine cellars. And there are far too many fine Okanagan wineries to buy case lots of all the finest, in the hope you live long enough to drink it all. This reflection was brought on by the most recent samples from Township 7 Vineyards & Winery. These included several very fine wines from the superb 2014 vintage, among them wine club allocations. Indeed, by the time you read this, club members will have swallowed by the entire allocation of some. · Choose from 2 membership rewards: 1) pick up your shipment and receive 15% off the cost of your wines or 2) Free shipping right to your door anywhere in Canada. · Each shipment includes limited edition wines available only to club members. · Other perks include special members-only pricing (10% off) on all wine purchases outside of club shipments, invites and VIP treatment at our special events and two clubSeven parties a year. · No membership fees just membership rewards. I noted a significant development at Township 7 from reading the technical sheets on the wines. Mary McDermott, the winemaker, has been able to source fruit from two vineyards never before used by the winery. One is the historic Sperling Vineyard in East Kelowna which has a relatively young block of Pinot Noir. The other is Vanessa Vineyards in the Similkameen. As well, judging from the concentrated texture of the Bordeaux reds, it seems she has persuaded the winery’s long-term growers to up their games. While 2014 was one of the Okanagan’s best vintages ever, that alone does not account for the obvious step up in wine quality. Here are notes on recent releases, some of which have already been sent to clubSEVEN members. Prices do not include taxes. Township 7 Seven Stars 2014 ($29.97 for 114 cases). This limited production sparkling wine is exclusive to clubSEVEN. 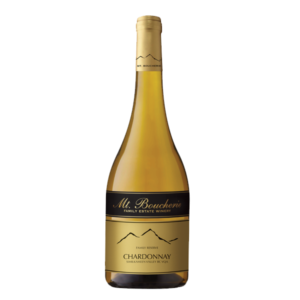 Crisply dry and refreshing, this wine is made with Chardonnay. It has toasty and citrus aromas with flavours of green apple and lime mingled with the biscuit notes imparted by 18 months aging on the lees. 91. Township 7 Pinot Noir 2015 ($30.97 for 248 cases). This is also a wine club exclusive; a pity because this is the winery’s first Pinot Noir and deserves wider distribution. The fruit is from the Sperling Vineyard in East Kelowna, where Ann Sperling also crafts excellent Pinot Noir. I thought the Township 7 wine was going through one of those notorious Pinot Noir phases and I left half a bottle until the second day. Then it showed its potential: bright fruit with delicate cherry flavours that were richer on the second day. The texture is wonderfully silky. 88-90. 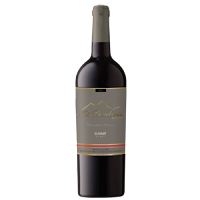 Township 7 Merlot 2014 ($22.97 for 1,168 cases). This wine is widely available. The wine was aged 18 months in French and American oak barrels, polishing the long ripe tannins. It begins with aromas of cassis, black cherry and vanilla. On the palate, there are flavours of black cherry and blackberry. The texture is firm but it opens up if you decant the wine or give it time to breathe. 90. Township 7 Reserve Merlot 2014 ($34.97 for 300 cases). This is exclusive to clubSEVEN. This intense and complex wine is made with grapes from Blue Terrace Vineyard near Oliver. This has been a source of grapes for Township 7 for almost 20 years, so the vines have excellent maturity. The wine begins with aromas of black cherry mingled with vanilla and minerality. There are flavours of dark red fruits, including plum and cherry, with dark chocolate and black licorice on the finish. Extended aging in French and American oak (30% new) has contributed to a svelte, elegant finish. 92. Township 7 NBO 2014 ($27.97 for 278 cases). This is available only at the Township 7 wine shops in Langley and Penticton. NBO stands for North Bench Oliver, the location of Blue Terrace Vineyard. This wine is 58.5% Cabernet Sauvignon and 41.5% Merlot. This wine is so rich in flavour – plum, fig, black cherry, dark chocolate, licorice – that it seemed almost port-like. It is not: the wine is ripe but the alcohol is a reasonable 14%. Like all the other reds in this release, NBO will cellar well for the next decade. 91. Township 7 Syrah 2014 ($30.97 for 368 cases). This is exclusive to the wine club. The grapes for this wine are from Vanessa Vineyards, a vineyard which has turned heads with two Syrah vintages under its own label. The wine begins with appealing aromas of sweet fruit (plum and currants) along with notes of pepper and smoked meat. On the palate, the wine is robust and full-bodied with meaty flavours of fig, black cherry and dark chocolate. 91. During an Okanagan visit in late January, I dropped in at Tantalus Vineyards in Kelowna to taste the two Pinot Noirs released just in time for the Vancouver International Wine Festival. Given the brisk winter weather and the snow on the steep driveway at Tantalus, I expected to find the tasting room deserted but for staff. The valley’s Yukon Quest conditions hardly seemed conducive to wine touring. The surprise: two or three consumers came to the wine shop during the hour I was there. Perhaps it speaks to the hardiness of today’s wine tourists. But it also says a lot of the reputation of Tantalus wines. Initially, the reputation of this vineyard was made with its Old Vines Riesling, from grapes planted in 1978 when the vineyard was owned by the late Den Dulik and his family. In 1997, his daughter Susan opened a winery called Pinot Reach Cellars. The Old Vines Riesling was tasted a few years later by Jancis Robinson, the celebrated British wine writer, who had high praise for it. The vineyard and winery were purchased in 2004 by Vancouver investment dealer Eric Savics. He renamed it Tantalus. The winery resumed making Old Vines Riesling in 2005. The wine has been acclaimed in every vintage since then by numerous wine critics. The vineyard has since been expanded, with a careful focus on the varieties that produce best on this East Kelowna slope. That meant planting more Riesling, along with Pinot Noir and Chardonnay. David Patterson, the current winemaker and general manager, has a focussed toolbox to work with. I was able to taste not only the two Pinot Noirs but also two Chardonnays and one Riesling [not the Old Vines, since the last release is sold out and the next is not yet released]. Tantalus Juveniles Chardonnay 2015 ($20 for 600 cases). When the winery makes wine from younger plantings, the practice is to label them “Juveniles”. This is the first vintage of Juveniles Chardonnay, from a four-acre block of vines planted in 2013. This is a lovely fruit-forward Chardonnay; only half was aged in oak barrels and those were neutral. It has aromas and flavours of apple and pear. The finish is crisply refreshing. 90. Tantalus Chardonnay 2014 ($30 for 355 cases). The wine is made from grapes planted in 2007 and in 1985. The maturity of the fruit supports a more intense style of Chardonnay. The wine was aged 11 months in 40% new French oak and 60% in neutral French oak puncheons. The wine begins with buttery and citrus aromas, leading to flavours of pear, citrus and spice. Bright acidity adds to the lively and fresh fruit on the palate. 91. Tantalus Riesling 2015 ($23 for 3,200 cases). Crisp and tangy, this wine begins with aromas of lemon and Granny Smith apples, which is echoed on the palate. The flavours are intense, hinting of citrus and quince. This wine is widely available, including holding a place on the wine lists of all 23 Cactus Club restaurants. 92. Tantalus Juveniles Pinot Noir 2015 ($25 for 500 cases). The fruit for this wine comes 2007 and 2009 plantings of Dijon clones. The wine was fermented with wild yeast and aged about a year in oak. Most of the barrels must have been neutral, not covering up the lively fruit expression – aromas and flavours of raspberry. The texture is silky. This is a very drinkable wine. 89. Tantalus Pinot Noir 2014 ($30). Thirty percent of this wine was aged in new French oak barrels; the remainder aged in more neutral oak for a year. The older vines assert themselves here in the depth of colour and in the intensity of the aromas and flavours of spicy black cherries and plum. 92. For most attending the Vancouver International Wine Festival this year, the "must" discovery among the 60 BC wineries there will be Bill Lui’s One Faith Vineyards. This is a small but very fine producer on Black Sage Road that aspires to nothing less than to be an Okanagan First Growth – at least symbolically since the Okanagan lacks Bordeaux’s system of classified growths. One Faith Grand Vin, at $165 a bottle, will be the most expensive Okanagan wine at the festival (and one of the most expensive wines in the room). And Bill will be pouring three vintages of the wine at his table, along with his $50 second wine, a Bordeaux red blend called Certitude. The lineup at the One Faith table should be deep. These are limited production wines among the best ever produced in the Okanagan. The skeptics who doubt an Okanagan wine is not worth this much money can decided for themselves – and can compare them with premium-priced imported wines on the floor. One Faith launched in December 2014 with Grand Vin 2012. I am surprised to see it is to be poured at the Festival because only 144 cases were made. To be sure, the price ensures that wine would hardly fly off the shelf: One Faith wines are marketed in boxes of three priced at $495 a box. I presume the Festival liquor store, which ordered 20 cases, will break the boxes into lots of one bottle. I also expect the wines will sell out quickly, given the sophisticated and well-heeled collectors who attend the festival. Until now, One Faith has been a “virtual” winery, making its wine in a custom crush facility. The good news is that Bill now has a 10-acre vineyard at 4644 Black Sage Road. A winery is under design, with plans for a tasting room in an underground barrel cellar by 2019. Now 58, Bill was born in Hong Kong but grew up in Canada. He has been a Canadian citizen since 1977 and has a degree in environmental science from Wilfrid Laurier University in Waterloo. Much of his previous business career, which he describes as merchant banking, was in Taiwan and China. In China, he managed a company that made medical instruments. After taking it public and selling his interest, he retired to Vancouver, in part to be with his school-age children and to look after aging parents. He is not a winemaker in the technical sense, although he has taken a number of courses from the University of California. It would be more accurate to call him a winegrower who has employed several topflight consultants to make the wines. When Bill decided to create a winery, he retained Vancouver wine educator and consultant James Cluer MW for guidance on grape sources and winemakers. Grapes for the initial vintages were obtained from the Sundial and Saddle Ridge vineyards on Black Sage Road. The sale of both vineyards last year was one reason that Bill bought his own vineyard as well as lining other sources of premium grapes. James Cluer helped Bill recruit the immensely talented Anne Vawter(right), the winemaker who made the One Faith vintages in 2012, 2013 and 2014. She and her husband, Cameron, both are consultants for blue ribbon Napa wineries. Last year, they also became consulting winemakers the new Phantom Creek Estates, the winery under development at the Black Sage Road vineyards formerly owned by Harry McWatters and Richard Cleaves. Because Phantom Creek, a large and ambitious project, will compete directly with One Faith, Anne severed her relationship with One Faith. Her role at One Faith has been taken over by Jacqueline Kemp, a New Zealand working in the Okanagan. She blended the 2014 One Faith wines and made them in 2015 and 2016. Bill Lui has also engaged Pascal Madevon, the former Osoyoos Larose winemaker and now a consultant, for advice on viticulture and one winery design. He is confident his wines can hold their own in the big leagues. Last fall, he took a table to introduce his wines at a major trade show in Shanghai. Many consumers ignored his table until the word got around that the wines were special. Here are notes on the three vintages of One Faith that will be available at the wine festival. One Faith 2012 Grand Vin ($495 for a box of three). The wine is a blend of 45.4% Merlot, 30% Cabernet Sauvignon and 24.6% Cabernet Franc. The wine was aged between 20 and 22 months in French oak. The wine begins with deep and complex aromas of cassis, vanilla, spice and dark cherry. On the palate, there are layered flavours of black cherry, plum, cassis, chocolate and tobacco. It is a sveltely polished wine with long, silky tannins. The wine is drinking well now but will continue to improve in the bottle for five to eight years. 95. Vin (Price not finalized). The winery made 250 cases of this wine. The blend is 77% Merlot, 14% Cabernet Sauvignon, 4% Syrah, 3% Cabernet Franc, 1% Petit Verdot, 1% Malbec. Aromas of black cherry and vanilla bound from the glass as a prelude to the medley of sweet fruit on the palate: flavours of blueberry, black cherry and black currant. The long ripe tannins polish the wine’s long, elegant finish. 95. One Faith 2014 Grand Vin (not released). This wine, not yet tasted, is 50% Cabernet Sauvignon, 45% Cabernet Franc and 5% Merlot. “I think the 2014 is a stunning wine,” Bill says. Mt. Boucherie Estate Winery emerged last year from nearly two years in receivership. The quantity of its wines suffered but, it seems, not the quality. The winery has underlined that last fall with the release of its flagship red, Summit Reserve 2013, at $50 a bottle. That’s not chuzpah: the wine is worth it. The winery’s website also shows a wine called Contessa 2013, priced at $89.95 for just over 500 cases. This is a blend 34% Cabernet Franc, 24% Malbec, 21% Cabernet Sauvignon and 21% Syrah, aged 25 months in French oak. It was not available for tasting during a recent winery visit. One has to applaud winemaker Jim Faulkner and the supporting management team for laying down markers that say the winery is truly back after a second implosion of the family dynamics at Mt. Boucherie. With refreshing candour, Sarwan Gidda explains why his family remained grape growers when they bought a vineyard in 1975 with the intention of replacing the vines with apple trees. “It was better money than the apples,” he says. 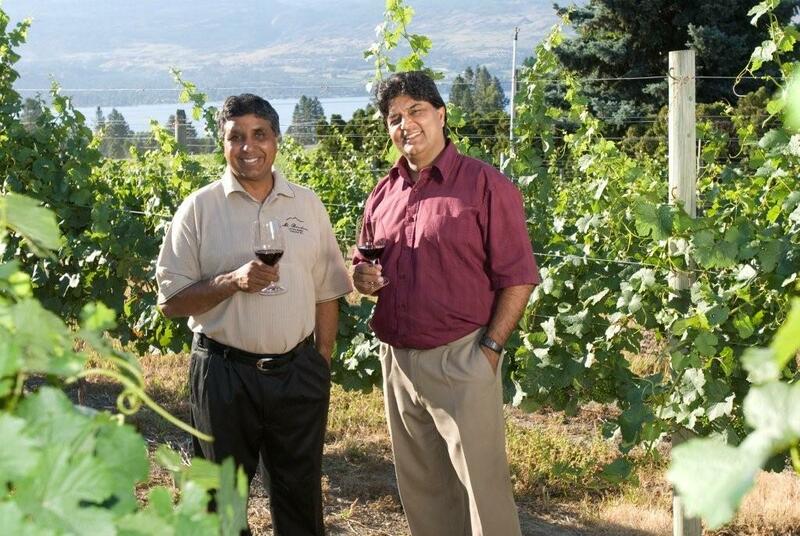 Since that discovery, this Punjabi-born family has acquired about 71 hectares (175 acres) of vineyards, growing both for their modern estate winery near Westbank as well as for several other wineries. 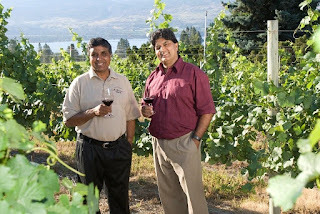 It is probable that the Gidda brothers grow more varieties of grapes – including an obscure Russian variety called Michurinetz – than any commercial Okanagan grower. The Gidda brothers have farming in the blood. Mehtad Gidda, their father, had been a farmer in India until, at the age of 29, he brought his family to British Columbia in 1958. A very hard worker, he laboured at sawmills while investing his savings in orchard property. “Dad wouldn’t let us get into farming until we got educated,” Sarwan remembers. “He thought farming was too hard.” The eldest of the three brothers, he studied business administration. Nirmal earned a science degree and Kaldep, the youngest brother, trained as a mechanic. Now, all are partners in Mt. Boucherie and the vineyards. That book was published just as Sarwan left the partnership in 2008 to establish the nearby Volcanic Hills Winery with his son, Bobby. Volcanic Hills, with Daniel Bontorin as winemaker, has been operating smoothly since then. The relationship between Nirmal (right) and Kaldep at Mt. Boucherie unravelled in 2014 and its lender, Farm Credit Canada (FCC), sought a receiver to manage the business. The reasons were set out in a BC Court of Appeal judgement in December, 2014. Kaldep opposed the appointment of a receiver. When one was appointed, he sought to bar the receiver and a vineyard management company from the vineyards. That resulted in neglect of the vineyards, including not irrigating some, which reduced the winery’s production in 2014 and 2015. The winery continued to sell wine and operate its tasting room throughout the turmoil, an indication of the fine balance a good receiver can achieve: keep the business running while conserving capital until a new owner is found. At one point, conserving capital meant that one order of bottles and three orders of labels were cancelled. Unable to bottle some wine in 2015, Jim kept it protected in good storage. Some of the reds now being released spent 22 to 30 months in neutral oak – without any deleterious impact on them. Jim continued to make wine in difficult circumstances, while turning down several job offers from competing wineries. His dedication to Mt. Boucherie is one reason that the receiver had a viable business to sell last year. Wanting to move back to the Okanagan, Jim joined Mt. Boucherie in 2009. “I think some of the better wines I have made, have been in the last few years,” he says. Mt. Boucherie wines won awards in several competitions even while its affairs were in tumult. The winery attracted interested from several groups when the receiver put it on the market in 2015. The successful bidder, a group headed by Vancouver businessman Sonny Huang, took over Mt. Boucherie on March 30, 2016. Born in China, Sonny is a long-time resident of British Columbia and a self-made entrepreneur who started with a pizza shop and now is a real estate developer as well an importer/exporter of produce and wine. Sonny installed a management team headed by Craig McCulloch, a former grocery executive. He also opened the purse. Before the 2016 vintage, Jim was able to install sorting tables for the first time and to order 100 new barrels. Meanwhile, Mt. Boucherie’s 300 acres of vineyards (in the Similkameen, Okanagan Falls and West Kelowna) are being rejuvenated. There are plans to extend the barrel cellar, to replace the tasting room and add a restaurant and boutique hotel. The winery’s ultimate production target is about 50,000 cases of wine. Here are notes of some current Mt. Boucherie wines. Mt. Boucherie 2016 Rosé ($19; tank sample for spring release). This is made with Zweigelt grapes. Light skin contact achieves a Provençal pink hue. The wine has aromas and flavours of cherry, strawberry and raspberry. The finish is dry but the weight and juicy texture create a lingering, fruity finish. 90. Mt. Boucherie Family Reserve Chardonnay 2013 ($30). This is a big Chardonnay, with buttery aromas and rich marmalade flavours that just fill the mouth. 90. Mt. Boucherie 2016 Gamay (barrel sample for spring release). The winery has a good following for its Gamay, made in the style of Beaujolais Village wine. This is a dark, full-bodied Gamay with a touch of oak from some of the new barrels. The dominant flavour is cherry and the texture is silky. 88. Mt. Boucherie Meritage 2012 ($34.95). This is 74% Cabernet Sauvignon, 26% Cabernet Franc; it was aged 30 months in French oak. The wine still has a firm but polished backbone, with aromas of vanilla, coconut and cassis. On the palate, there are flavours of black currant with black coffee and dark chocolate on the finish. 90. Mt. Boucherie Winemaker’s Reserve Summit 2013 ($49.90 for 1,050 cases). This is 35% Cabernet Franc, 35% Merlot, 22% Cabernet Sauvignon and 8% Malbec. The wine was aged 20 months in French oak. It begins with aromas of blueberry, cassis and vanilla, leading to rich flavours of black cherry and black currant. The long ripe tannins give the wine a full texture and an elegant finish. 93. Mt. Boucherie Winemaker’s Reserve Syrah 2014 ($35 for 350 cases). This wine was 22 months in oak (93% French, 7% American). It begins with aromas of pepper, black cherry and licorice, leading to flavours of fig and plum punctuated with pepper on the finish. The texture is full and rich. 92.